Summer might not be the season you'd expect people to get pumped up about hockey, but the NHLPA's Goals & Dreams Fund and NHLPA members managed to have that effect on a grateful group of kids. When the NHLPA's Goals & Dreams fund was launched in 1999, the aim was for the players to make a global impact at the grassroots level of the game. And that's just what they have accomplished. 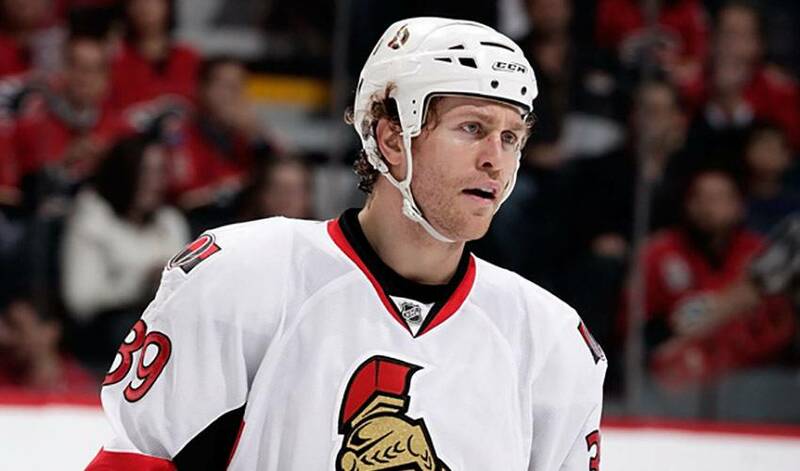 The latest venture came with an assist from hard-nosed defenceman Matt Carkner, who patrols the blueline for the Ottawa Senators. Carkner, along with members of the Goals & Dreams team, gave the North Dundas Minor Hockey Association 15 sets of equipment on July 24. "I played in the NDMHA and really fell in love with hockey," said Carkner, who grew up Winchester, a township in eastern Ontario. "I really am proud to be a part of this donation ... to help NDMHA give more children in Winchester a chance to also play the great game." "The kids in North Dundas Minor Hockey Association have a great role model in Matt Carkner,” said Devin Smith, Goals & Drams Chairman. “He is a humble, hard-working guy who is passionate about making a difference in his hometown and helping out his hometown minor hockey program. The NHLPA Goals & Dreams fund was thrilled to work closely with Matt on this program." The equipment will extend the association's loaner program that acts as a vehicle to introduce kids to hockey. "I am extremely appreciative of Mr. Carkner's and the NHLPA's generosity," said NDMHA president Hans Hutten. "I know that the community, as a whole, is quite proud of Matt's accomplishments and it is wonderful to know that his generosity will directly affect the kids in their ability to play hockey." Whether it's an ice-resurfacer at Foam Lake Arena in Foam Lake, Saskatchewan, sleds and equipment for All Island Handicap Sports in Lynbrook New York, equipment for Club Sportiv Scolar Triumf in Bucharest, Romania, or arena upgrades in Talsi, Latvia, Goals & Dreams is committed to improving hockey on the world scale. "The goal of this program is simple...allow more children the chance to play the great sport of hockey,” said Smith. “It is a great feeling to know that the contribution of hockey equipment from Matt Carkner and the NHLPA will help accomplish this goal." Association in November, 1999 as a way for the players to give back to the game they love and the game that has given them so much. Funded entirely and solely by the NHLPA Members, the Goals & Dreams fund is the largest grassroots hockey program in the world. Goals & Dreams celebrated its 10th anniversary last November, and to recognize the players' commitment to supporting grassroots hockey programs around the world, Goals & Dreams Ambassadors, embarked on a 10 countries in 10 days tour. The tour began on November 13 in Ornskoldsvik, Sweden, and made stops in Helsinki, Finland, Moscow, Russia, Riga, Latvia, Prague, Czech Republic, Trnava, Slovakia, Sarajevo, Bosnia, Frankfurt, Germany, and New York City, USA, before finishing in Toronto, Canada on November 22. More than $180,000 in equipment – 360 complete sets - was donated to programs over the course of the trip, giving even more children the opportunity to play the game of hockey. Under the Goals & Dreams umbrella, the players support various charitable initiatives including the NHLPA Carbon Neutral Challenge, Hockey Fights Cancer, Habitat for Humanity and many more. There's no doubt NHLPA members, past and present, are highly committed to doing their part to make Goals & Dreams a continuing success story.